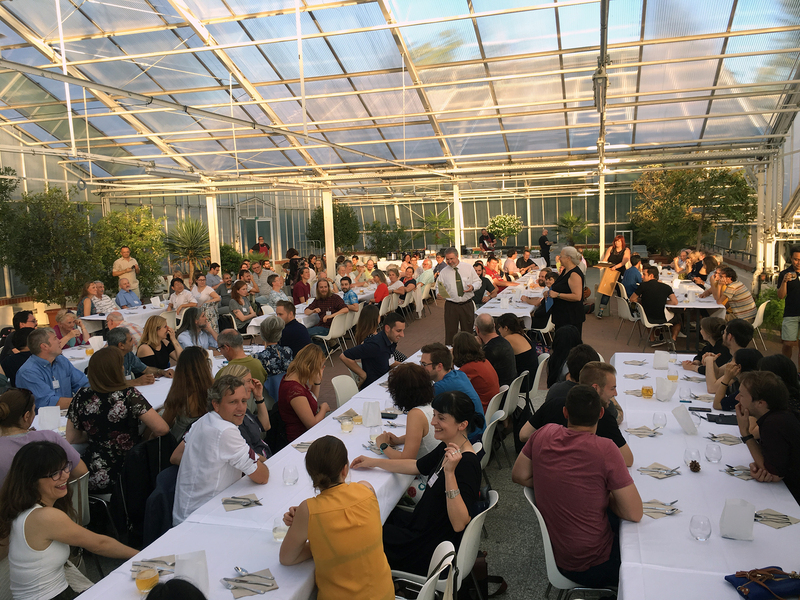 On Friday, 29 June 2018, 65 delegates attending the 25th International Diatom Symposium in Berlin participated in a symposium workshop on web-based tools used in diatom research. The workshop began with a short presentation of the history of web-based tools. Characteristics of each website were discussed including geographic coverage, functionality, identification, search, and taxonomic descriptions, taxonomic coverage, funding, and longevity. Following the introduction and overview, two websites were highlighted. The Diatom Flora of Britain and Ireland was presented by Ingrid Jüttner, and the Diatoms of North America (DONA) was presented by Sarah Spaulding. The history, rationale, user and funding base, and developmental strategy for each site were presented as well as the challenges that each site faces. The workshop continued in an open discussion format to allow delegates to provide praise, constructive criticism, personal experiences, and wish lists of future directions for web-based tools. It was hoped that the workshop would facilitate conversation that would lead to solutions—what do you like or expect from web tools, and what can be better? Include better illustrations of type specimens. Show scanned images of types from the original publications. Show LM and SEM micrographs of types and indicate the location of the types (collection where it is housed and the type location). Include the range of morphological variability. Most modern websites show more than a single image of a taxon to provide morphological concepts. Show greater morphological variability and variation across wide geographical ranges. Expand in scope from regional to global. Users ask, can we upscale regional scale studies to global scales? What would it take to do a global monograph of one genus, for example, Sellaphora? Can existing databases become worldwide? Can existing databases be linked, so that content is shared? How can databases be used to generate worldwide networking? Allow users to load images. Some users would like the ability to upload their own images of specimens to further show morphological variability. Reduce duplication among websites. How can we avoid duplication of effort in creating web databases? Polar diatomists regularly hold workshops to reach agreement on taxonomic issues and coordinate efforts. Would such a model work for other regions? Are websites science? The delegates respond, "Yes, some websites are science". Sites that are authored, peer-reviewed, documented by version numbers, and supported by specimens in public herbaria should be considered scientific contributions. What rules and regulations apply to scientific websites? Each site provides their own rules in regard to licensing and regulating web based content. Delegates question if taxonomic names and type information fall under public domain as fair use, or if they are subject to the same global policies that dictate use of genetic resources. Finally, the discussion concluded with a consideration of how the International Society of Diatom Research (ISDR) might facilitate and support web-based diatom tool development and use. Some databases, e.g. Algaebase, receive support from professional societies as noted in their funding acknowledgments. Is it time for the ISDR to provide financial support to diatom web sites that it deems as crucial to supporting the mission of the Society and its members? Second, can the ISDR provide guidance to key websites? For example, could an ISDR committee be formed to develop as set of “Guidelines for Diatom Databases”? Talk back by contacting Mark, Ingrid, Sarah or a member of the ISDR council!